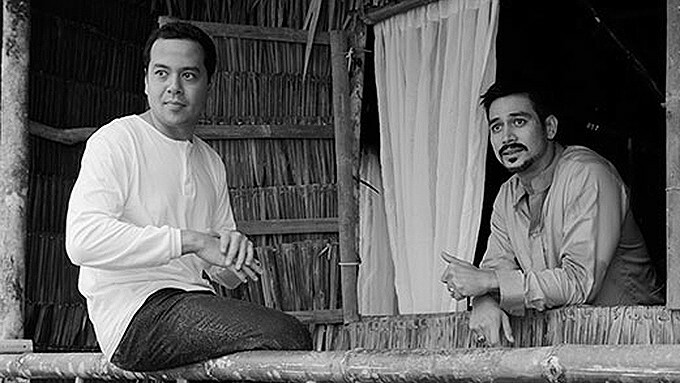 John Lloyd Cruz and Piolo Pascual are the lead stars of Lav Diaz's 8-hour film Hele sa Hiwagang Hapis, which is graded A by the Cinema Evaluation Board. Lav Diaz's award-winning film Hele Sa Hiwagang Hapis (A Lullaby to the Sorrowful Mystery) will finally be screened in the Philippines after being recognized abroad. It will be distributed in select cinemas nationwide through Star Cinema starting Black Saturday, March 26. 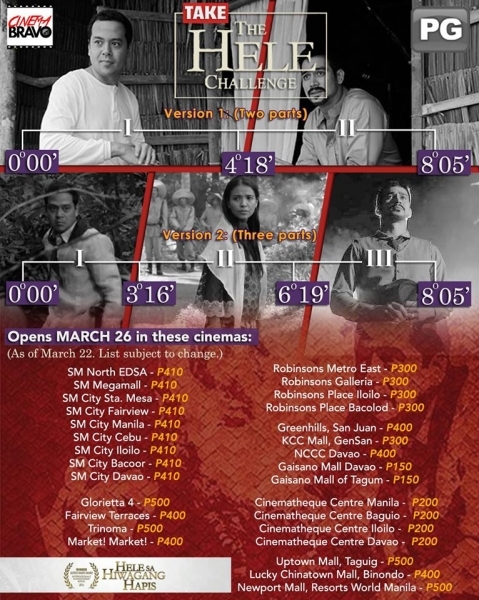 Cinema fanatics are preparing themselves to accept the "Hele Challenge" of watching the 8-hour-long black and white movie. This film, which is grade A by the Cinema Evaluation Board, stars Piolo Pascual and John Lloyd Cruz along with Angel Aquino, Cherie Gil, Alessandra de Rossi, Susan Africa, Bernardo Bernardo, Joel Saracho, and Hazel Orencio. The film revolves around Andres Bonifacio's widow, Gregoria de Jesus, and her grueling 30-day search to find the body of her husband in the mountains and the truth behind his death. It incorporates elements of Philippine mythology (such as the tikbalang) and characters from Philippine literature, especially those from Jose Rizal's novels, Noli Me Tangere and El Filibusterismo. Hele Sa Hiwagang Hapis took home the Silver Bear Alfred Bauer prize at the 66th Berlin International Film Festival, an award that is given to films bringing a new perspective to cinematic art. The film will also have several breakpoints depending on cinemas so that moviegoers will have the chance to eat and stretch during the screening. According to CinemaBravo, two versions of the breakpoints will be shown depending on the cinemas. The first version will end halfway through the movie in a scene showing Isagani (John Lloyd Cruz) and Simoun (Piolo Pascual) inside a kalesa under the rain. The second version will be divided to three parts—Part I ends in the scene where Caesaria Belarmino (Alessandra de Rossi) is seen waking up from a nightmare. Part II will open with the scene of Mang Karyo (Joel Saracho), Gregoria de Jesus (Hazel Orencio), Aling Hule (Susan Africa), and Caesaria and ends at the grand piging. Lastly, Part III opens with Simoun and Isagani resting with a farmer and a boatman.